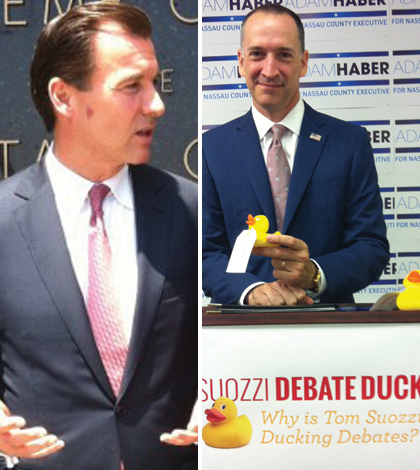 Former Nassau County Executive Tom Suozzi, left, and Democratic primary challenger Adam Haber, right. Voters will decide who wins the Democratic primary Tuesday between former Nassau County Executive Tom Suozzi and Rosyln school board member Adam Haber, who want to challenge Republican County Executive Ed Mangano. 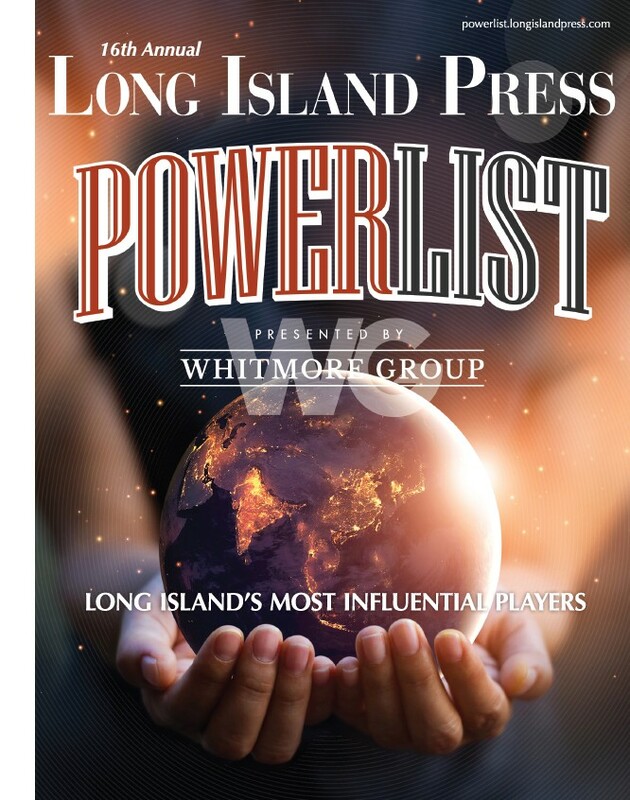 Haber, the underdog who’d called for 17 debates with Suozzi since February, finally got his chance to face off with his opponent before Freeport residents Aug. 30 and again on News12 Long Island a week before the Sept. 10 vote. The primary winner will face Mangano on Election Day. But even the most informed voters can have difficulty cutting through the candidates’ spin on key issues facing the county: The continuing fiscal crisis, plugging the Brain Drain, fixing the sewage system and what to do with Nassau Coliseum after the New York Islanders move to Brooklyn in 2015. Since many voters didn’t get to see the two debates—either because they weren’t among the about 100 people in Freeport, don’t have Cablevision or simply don’t care—here’s a recap of the candidates’ positions on the major issues ahead of primary day. Suozzi said he would push developers to rebuild the Nassau Coliseum, aiming to connect to surrounding Hofstra University, Nassau Community College, office buildings, Museum Row and Eisenhower Park. As for Manano’s plan to have Forest City Ratner—the company that lured the Isles to the Barclays Center—renovate the coliseum, Suozzi said it’s “clearly not ambitious enough for this important piece or property” because it doesn’t include more dense development in the 77 areas surrounding the arena. Haber has indicated that he’s eager to put shovels in the ground to renovate the arena to spur economic revitalization of the Nassau Hub, as the area surrounding the coliseum property is known. 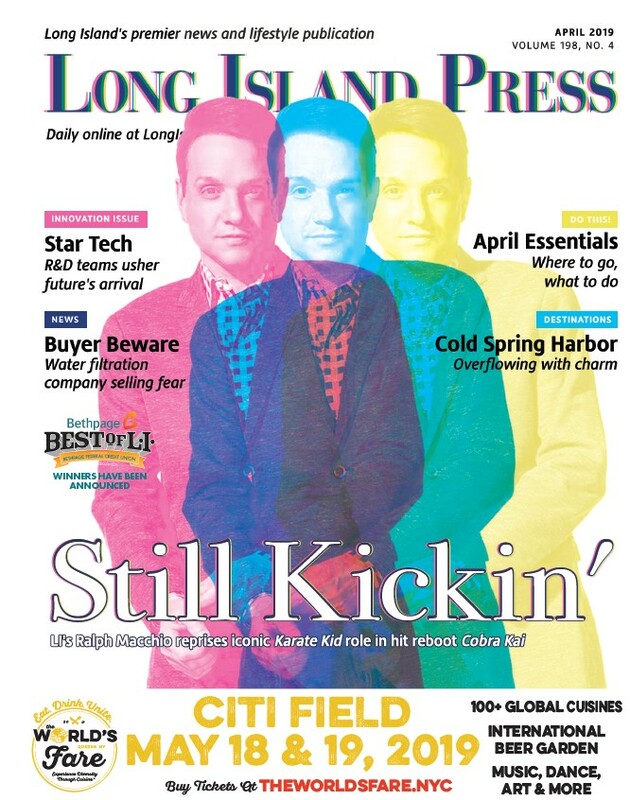 “If we don’t do something unique now, we will continue on this slow path of decay that Nassau County has for the last 20 years,” he said. In his second debate with Suozzi, he said building a convention center at the site would increase consumer spending that brings in sales tax revenue and in turn help fund county operations. Haber said Democrats and Republicans in the Nassau County Legislature need to set aside their differences and approve the remaining half of the $700 million in borrowing required to fix the sewage plant that failed during Sandy flooding, sending raw sewage into homes, streets and waterways. Suozzi, keeping his focus on attacking Mangano, said the sewage plant’s month-long shutdown shows the current county executive bungled his response to the Oct. 29 superstorm. He added that there is “no believable plan in place” to fix the plant and that contractors have walked off the job.